For new customers, please download and complete the Doctor's Preference Chart to include with your case so we can meet your expectations and work preferences while fabricating your case. Call NDX Thayer for a pickup, use our pre-paid label for the United States Postal Service (USPS), or ship your case via FedEx. Call us today at 1-800-382-1240 to see if your location is included in our free pick-up and delivery service. 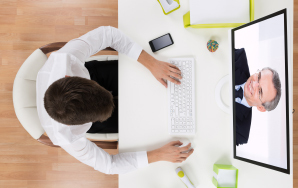 For those offices outside our route area, we offer pick-up and delivery services through the USPS or FedEx. Please consider sending multiple cases at once to save on shipping. NDX Thayer pays for FedEx shipping both ways. FedEx Express second day service for incoming cases and FedEx Ground for outgoing cases. To send us your case via FedEx, please follow the below instructions. Call us at 1-800-382-1240 to schedule your FedEx pick-up and for our FedEx account number. You can receive same day pick-up if your packaged is scheduled before 4:00pm (Please note, pick-up and delivery times vary by location and delivery routes). 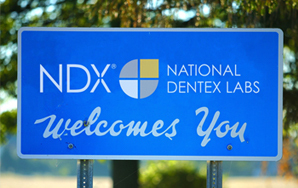 NDX Thayer can accept digital files from almost every intraoral scanner on the market. Click here for directions on sending your scans to us. If you need more FedEx airbills, shipping labels, boxes, bubble pouches or RX Forms, call us at 1-800-382-1240 to order additional supplies.